Alex Paulson of Devils Lake, North Dakota, has become a Taekwondo World Champion at age 22. But it’s not just his relatively young age that makes Alex’s achievement noteworthy. Alex also has Down syndrome. 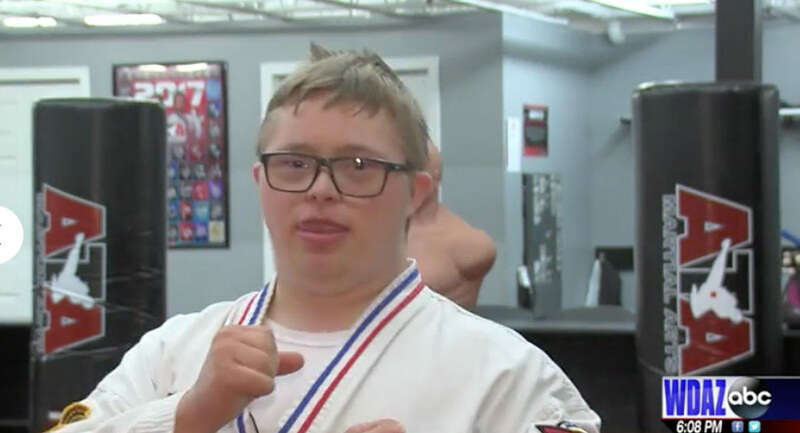 Alex’s mother, Paulette, told WDAZ-ABC News, “We’ve always said that he’s always had to work harder than the average joe” because of his special challenges, but he’s been working toward this title for eight years with the help of his instructor, Ryan Arndt. Alex competes against other students with special needs. His instructor told WDAZ, “Alex won world champion in Forms this year. Forms is a combination of patterns of blocks, kicks, strikes that he had to memorize. The pattern that he did was 81 moves long. Which is a really long form for a student.” And Alex is setting the bar high for the taekwondo school’s other students, even competing against students from other countries. “I’m hoping that Alex is able to inspire others in the school to go on and compete and maybe earn a title themselves,” said Arndt. Around the world, children diagnosed prenatally with Down syndrome are targeted for abortion. Some countries, like Iceland, have even boasted that they have “eradicated Down syndrome,” when in reality, they’ve killed the babies who have it before they even take their first breaths. This is not only wrong because it is killing children; it’s deliberately targeting people for no other reason than that they have a disability. People with Down syndrome can lead fulfilling lives. They can get married, they can speak for themselves at the United Nations, they can go on missions trips, they can lobby Congress, they can compete in pageants, and so much more.